The Toronto Raptors have used an eight game win streak to separate themselves from the rest of the NBA. Now, at 20-4, the Raptors are off to their best start in franchise history. 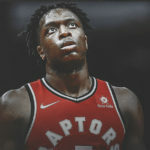 While, that may be attributed to a whole number of different reasons, most notably the revelation that has been Pascal Siakam, Kyle Lowry assuming an even greater leadership role, and rookie head coach Nick Nurse’s cleverly allocating minutes to both Serge Ibaka and Jonas Valanciunas to maximize their effectiveness, one reason has simply taken the Raptors to the next level. 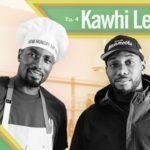 The steady play of Danny Green and superstar Kawhi Leonard has been an integral part of the Raptors’ success. Playing without Lowry, the Raptors relied heavily on Leonard who did not disappoint, pouring in 34 points and grabbing down 9 rebounds. Green added 15 points of his own on 6-of-9 shooting while providing his usual unheralded defense. It has been Green who has emerged as the vocal leader to leverage Leonard’s quiet demeanour on the court. That being said, Coach Nurse believes that Leonard leads in different ways. 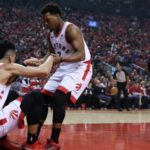 With a proven superstar and top-five player in the NBA, the Raptors now have an edge they never previously had and with Green and the offensive system put in place, the Raptors continue to adapt to the present-day NBA. 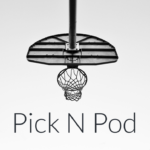 The Raptors are one of the more deep and versatile teams in the League and with the plethora of weapons at Nurse’s disposal, the head coach can seemingly match up his squad to any team. That became very evident against the defending NBA champions, albeit, an undermanned Golden State Warriors squad. Despite encountering a few sloppy moments, the Raptors ran into an unstoppable Kevin Durant and apart from his scoring output, as a whole, the Raptors have not only shown that they can hang with the Warriors, but the ability to outplay them. “I was proud of them,” said Raptors coach Nick Nurse. “When a team gets drug into overtime like that on some tough shots, it’s a lot of times that team will feel sorry for themselves and not come out and play. We didn’t. We came out and scored the first four on them and that’s what I told them in the locker-room. 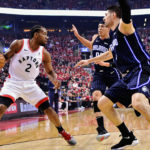 As the season continues, the Raptors will ultimately be judged by their performance in the playoffs, but it is not outlandish to say that this season feels different.